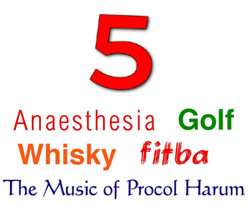 Anaesthesia, Golf, Whisky, Fitba & The Music of Procol Harum. 'Was this the first learned address on the topic of Procol Harum,' asks Charlie Allison, 'outwith the usual fans' gatherings? Charlie reminds us that the mildly-unofficial clips were used only in the context of a private/scientific gathering! The images were all projected, and looked great, accompanied by brilliant hi-fi. sound. 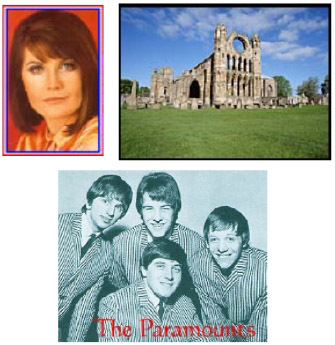 These are just some of the images used in a short but comprehensive resume of the career of Procol Harum, introduced by the concept of the five best bands of all time – the Beatles, Stones, The Who, Led Zeppelin and ... (my choice!) Procol Harum. 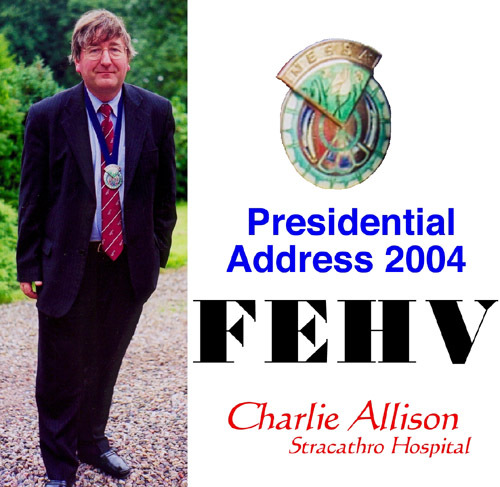 This came after four fifteen-minute segments on our specialities of anaesthesia, golf, whisky (with three favourite malts passed around for tasting – Springbank, Glenfarclas and Highland Park if you must know) then an unruly section on forty years of Scottish Football. 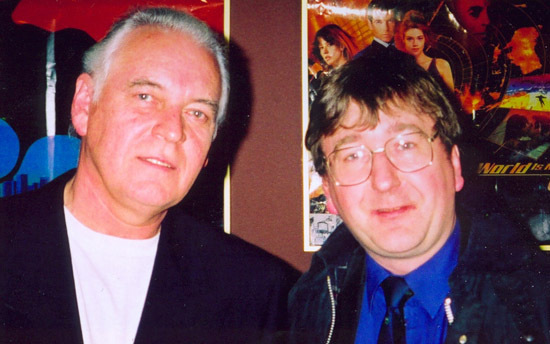 I told of the collaboration of Keith and Gary, the formation of Procol and the recent accolades given to AWSoP. 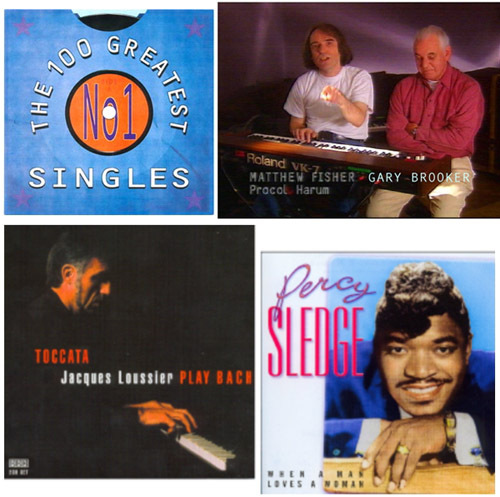 I explored its musical influences – Jacques Loussier playing Bach's Air on a G String and Percy Sledge's When a Man Loves a Woman ... and mentioned the 250+ cover versions, many and varied. 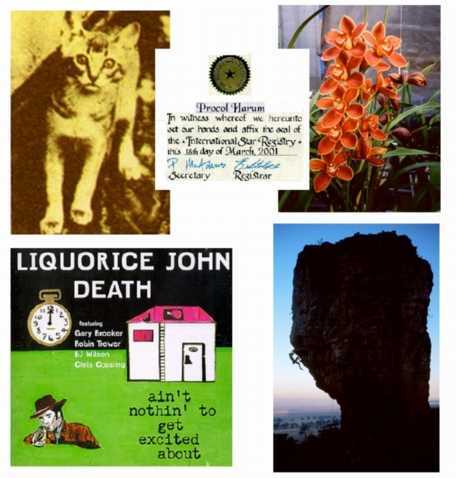 The caption to the combination slide with the cat said What's in a Name? 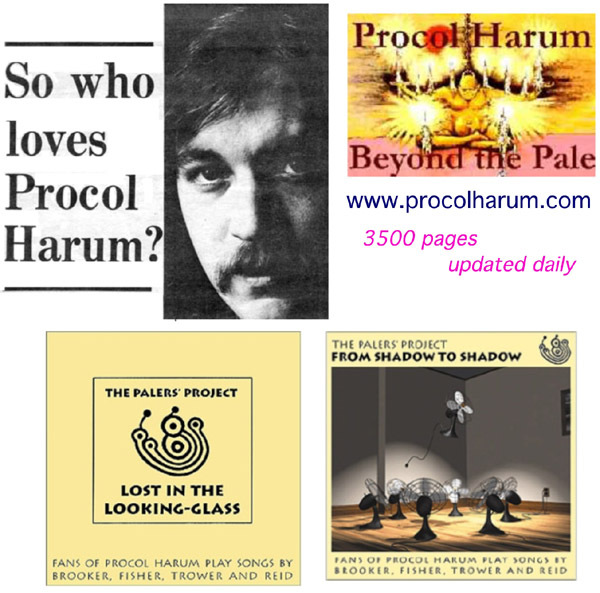 – explaining the moggy Procol Harun, the various Procol Harums and the Liquorice John session. Who Loves Procol Harum (today)? Well the obvious answer is, the 'most comprehensive and devoted' BtP website and the fans' fantastic recordings, as well as all the Palers worldwide. There was a lot more besides and we finished with the Hallé and Guildford Grand Finales and fireworks. I may have gotten a few more converts to the cause? So watch for Procol sales to go up in Dundee, Aberdeen and Perth!